Dubai is a fascinating place to visit and is a great place to stop over on the way from New Zealand to Europe. We flew with Emirates in September 2013 and stayed with my friends Mark & Kay and their boys who are New Zealanders living in Dubai. The city is almost like one long strip with the ocean on one side and the desert on the other. Transport is easy in taxi’s or on the monorail train which runs the length of the city and connects all the main areas. Mark is a keen sailor and we were planning on heading out for a twilight race but the yacht he crews on was in the haul out yard while I was there. 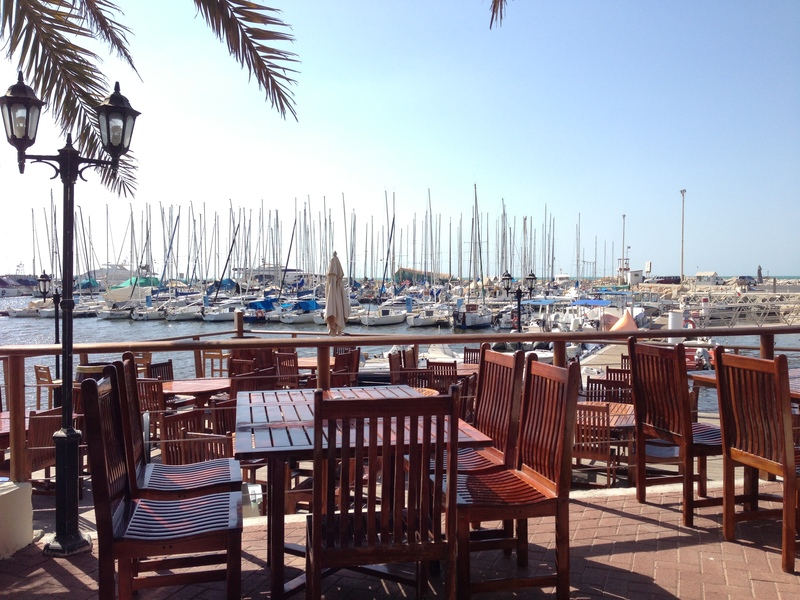 We visited the yacht club and small marina which is in a great spot. There is also a marina up the Dubai creek but access is under bridges that only open at certain times of the day. I read that there is a new huge marina planned. Currently the tallest building in the world! Buy your tickets online before you go as it is heaps more expensive to buy your tickets at the door. You head through a display explaining the engineering feats required to build the building and then head up in the elevators to about 3/4 of the way up. The view is amazing!! The Mall is right beside the Burj Khalifa so you can combine your visit with some shopping! They also have a fountain display, which is well worth watching and an aquarium. Seth isn’t a great shopper so my credit cards were spared a thrashing, and we were running short of time so we rushed through the aquarium, but it was worth a visit. There is also another mall with an indoor ski field! We visited but didn’t have time to spend a day here. It looked like fun, but I think I have been spoilt by real mountains! 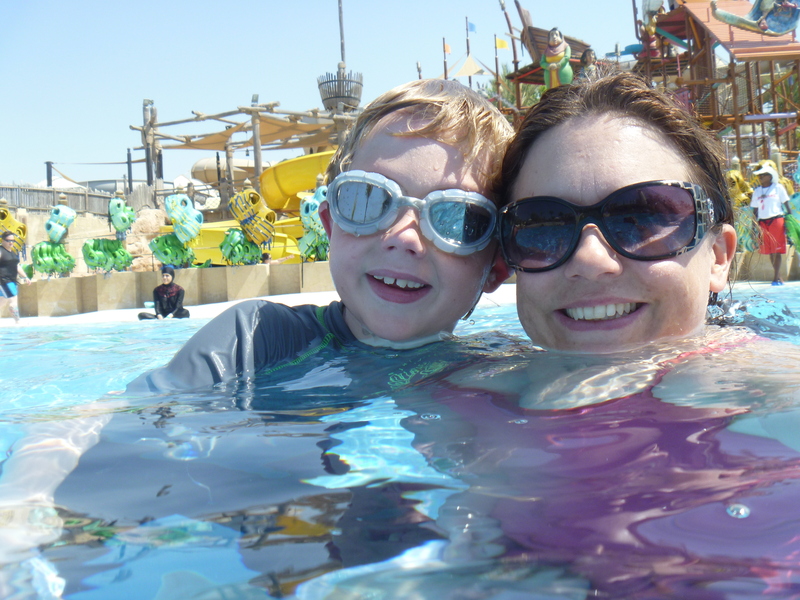 There are a couple of different water parks, and they are a fantastic way to spend the day with kids. It is also a great spot for people watching. With people dressed in everything from Burkinis to very skimpy things! We had a great day and you can pre load a waterproof bracelet so you don’t have to carry any cash and can safely put your things in a locker. The Palm is a massive sand island that has been constructed in the ocean and has housing developments, apartments, a train and hotels located on there. People can park their boats right outside their houses. It is a pretty cool place to visit and just amazed me with the scale of it! I loved the Old Town. Find a nice restaurant and have one of their mint drinks – you won’t find any bars or alcohol unless you are in a hotel. But the mint drink is just amazing! (And would be great with some vodka in there too!) We had a poke around the market, had lunch in a lovely restaurant, took a boat ride over the Dubai creek, and visited the spice and gold markets. You can also barter for handbags and watches – they will take you off down a side street in to a hidden building to buy them. It is all good fun. Just make sure you pay about half of what they originally ask for! This was great fun. We were collected in 4 wheel drives and taken out in to the desert where we went ‘dune bashing’ If you get car sick this might not be such good fun – Seth didn’t enjoy it for that reason! Then you see a falcon and learn about birds of prey, you get to ride a camel, have a bedouin feast (and beer) smoke a shisha pipe and get a henna tattoo! There were lots of tourists there, but it was really well organised, and didn’t feel crowded. It was lots of fun! Henna Tattoo – it lasted about 10 days! The city is easy to get around, people are friendly and speak English. You are supposed to avoid public displays of affection between men and women, but otherwise it is a very liberal country. I tried to dress modestly but there were plenty of tourists with lots of flesh exposed! It gets very hot! We were there in September which is the end of their summer and apparently it can get quite cool over their winter months. It is a great place to visit!